A child's only get-away is his bedroom. 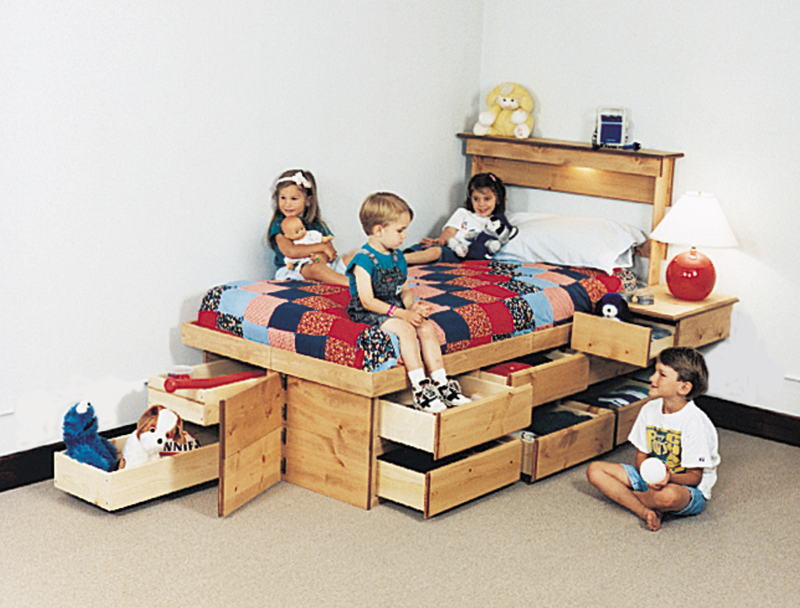 Unfortunately, most kids' bedrooms are way too small. There's no room for a study desk, to play, or to visit with friends. The result is a messy, seldom used room. Our Ultimate Bed™ (which is a complete bedroom suite in one compact product) literally changes your child's room. It will create the extra floor space needed for a desk, and a place to play by getting rid of wall dressers. It also eliminates the space-wasting box spring and dust-collecting bed frame, making your child's room simple to keep clean, neat and organized. It's the ultimate space saver. Don't buy an imported bed made of particle board for your child. It will fall apart in a short time. To get quote, scroll to bottom of page. Two 4-1/2 Ft. End Drawers "Optional"